Astronomy has and continues to revolutionize our thinking on the worldwide scale. Presidium Faridabad aims at extending the horizons of its students and to help them discover the grandeur of the universe and our place within it. 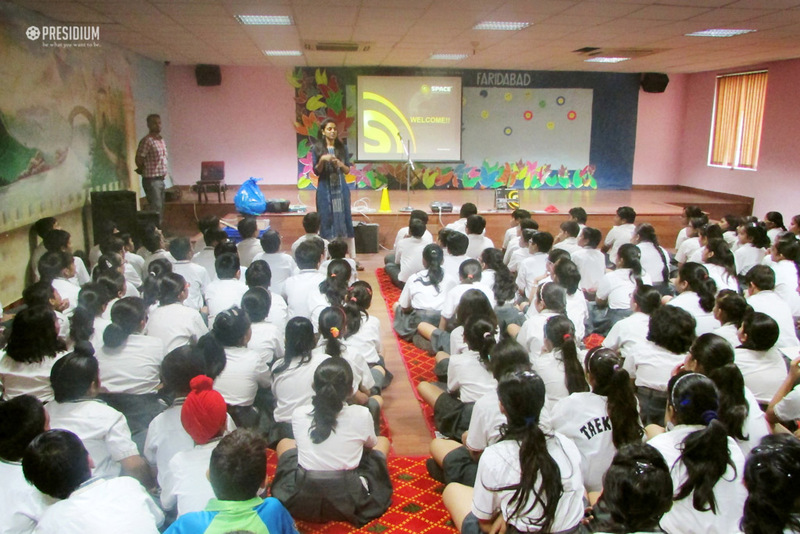 To foster a friendly and a stimulating learning environment, an astronomy workshop was recently conducted by the Space Astronomy Club for students of grades 5 to 9. Overjoyed to watch the making of a comet and witness the rocket launching, they were encouraged to ask questions, to instigate curiosity and explore the universe. Motivating the Presidians to reach high standards and to acquire real insight into astronomy, the workshop was an immersive learning experience for all.